Marie holding a 1lb ball of roving. We pack it "loose" in 8oz bags = easy to pull from! 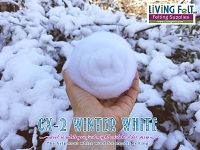 100% Wool, 8 oz Roving of LIVING FELT Brand Super Premium CW-1 Core Wool Fiber for needle felting or wet felting. 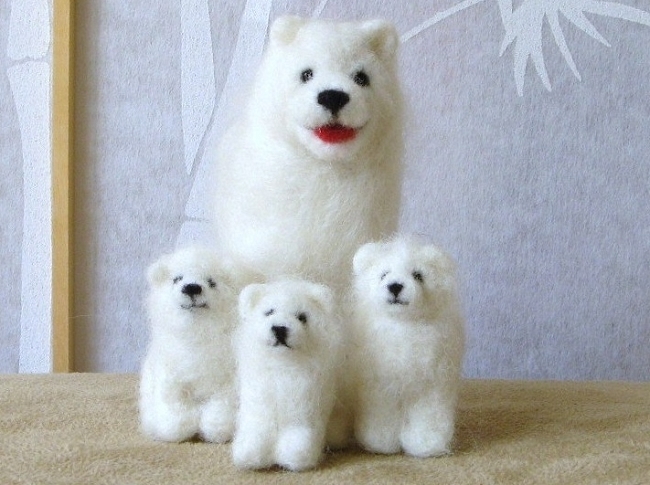 If you needle felt 3D sculptures such as needle felted animals, you might prefer our CW-1 Core Wool Roving! We pack it loose in 8oz bags so you can easily pull it out and get right to work! 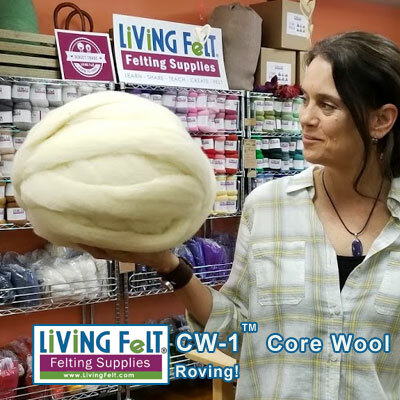 If you have never tried our CW-1 Core Wool, we are confident you will absolutely love how quickly and easily this core wool roving needle felts! 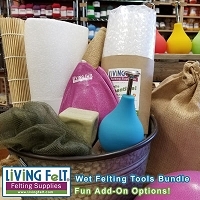 The fiber has the perfect crimp and provide a wonderful base for your needle felting projects or wet felted pictures. Many people have used our core wool for years to create base shapes and then overlay dyed or bright white wool on top because it is so affordable. This wool does contain some vegetable matter, also referred to as "VM", but it is clean and washed in an eco-friendly, non scented soap. It is not meant as a clean top surface wool, but some people use it for that anyway! 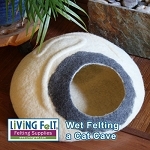 Use it as the "core" inside your needle felted shapes and establish a firm foundation. Approximately 26 micron. If you are felting larger projects or flat works such as pictures, wall hangings and 3d Wet felts, you might prefer our CW-1 Core Wool Batting. We have specially sourced this fiber for its wonderful quality and supreme feltability - it is a perfect core wool batting! We know you are going to love it as much as we do! 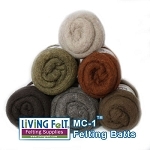 Living Felt CW-1 Core Wool is LOFTY, and very consistent in texture. Color - Off White / Aged White / Undyed / Unbleached / Natural. Made in the U.S.A. from happy sheep raised on U.S. Farms. 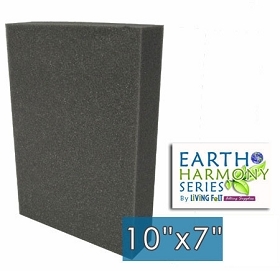 Washed in an eco-friendly, bio-degradable soap, ...because we care! 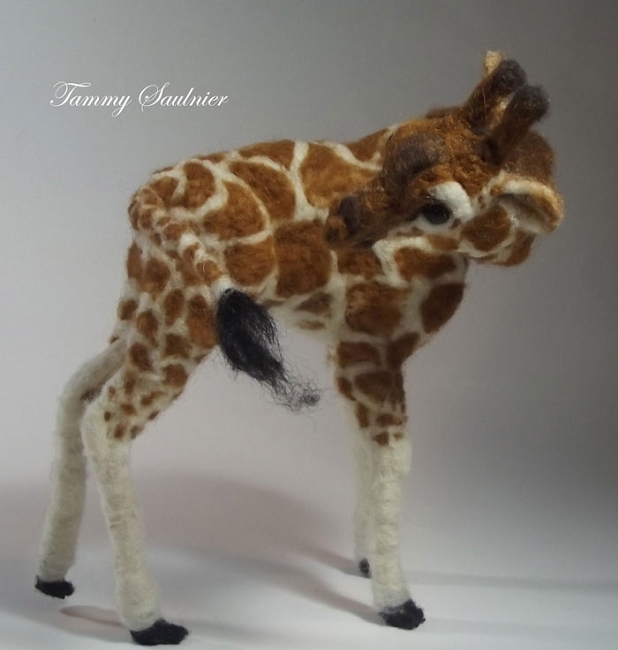 There are no harsh or perfumey odors....it just smells like clean fleece. 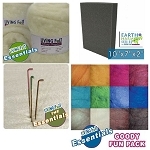 Simply the best core wool for felting and needle felting!